Has been a while since I reviewed a book in a more in-depth fashion than on my Goodreads, but this one is really resonant. 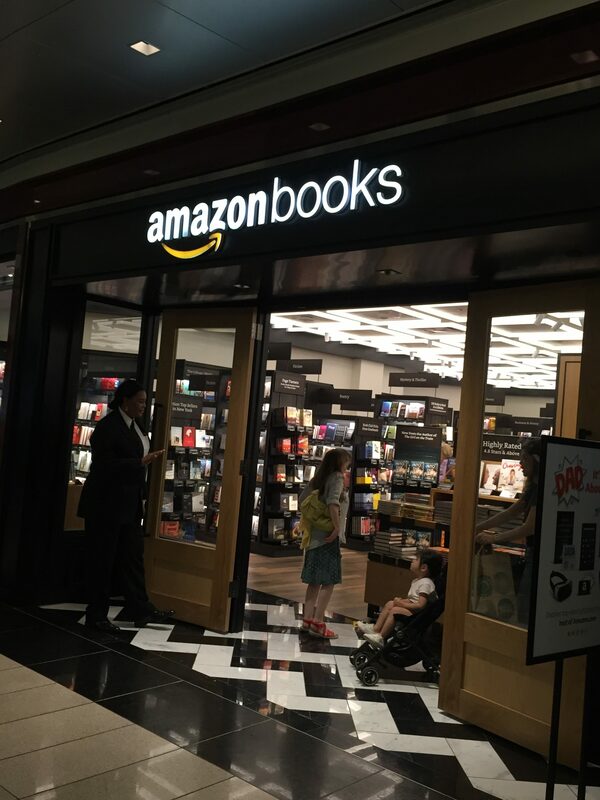 It was also bought on my first venture to the new Amazon Books store at the Time Warner Center. While I don’t love everything about the store and don’t frequently buy hard copy books any longer and when I do I usually frequent The Strand, one of the store’s marketing strategies paid off. They display all books face out and the cover of this one caught my attention in a way spine out might not have. 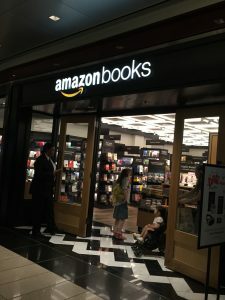 I checked the price and found that, as a Prime member, it was about the same cost as the Kindle edition so I left the store with a book in hand. In truth, I don’t see myself going often, but it might come in handy for a gift or impulse purchase when I’m carrying a tote bag. Ahh yes, the main reason I didn’t finish this book more quickly — it wasn’t very portable and I don’t make nearly enough time to read at home. If I’d had the time, I probably would have finished it last weekend as I read it in three chunks. It’s a very readable look at the world and relatively contemporary: pre Trump election, but post Brexit vote. It also awakened the International Studies major and history lover in me. It is, somehow, the rare book that counted for zero of my 2017 reading challenges. 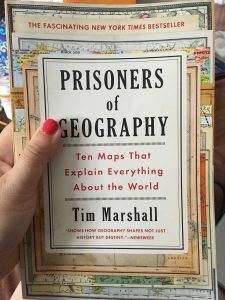 The book is organized by region/country with a map as chapter intro and I think this might be one of those books that’s better in paper form — I frequently found myself flipping back to the map when I wondered where exactly a border point was. 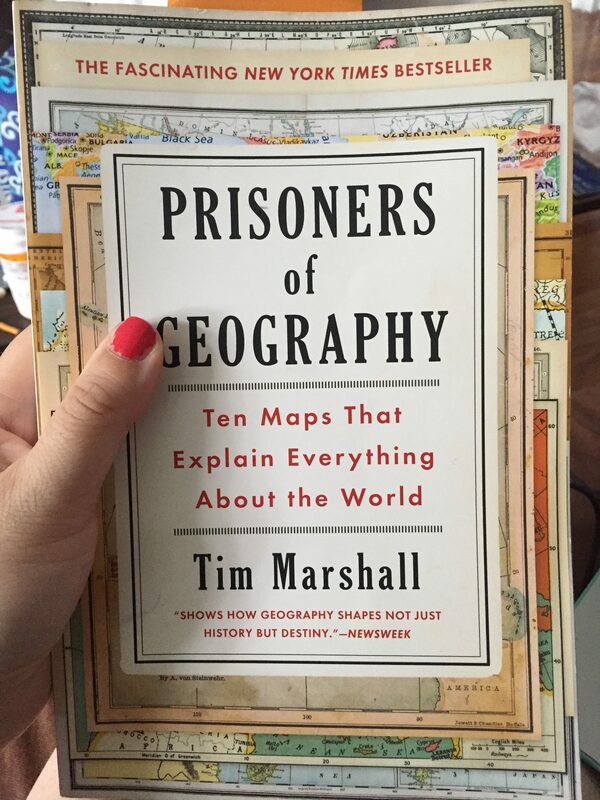 One of the quick themes that covers most sections is the mess that colonialization wrought on the world. While it’s the Middle East’s struggles most frequently in the news today, the same problems remain in southeast Asia, Africa and South America with relative differences in the amount of blood being shed. As was true when I read Jessica Alexander’s Chasing Chaos, the African bloodshed resonates with me because the Rwandan genocide was a major news event when I was learning world history in high school. Marshall’s points about the artificial lines drawn there, DRC, Nigeria and throughout the continent make it clear why there will always be bloodshed. Like in Iraq, we as westerners can call them “Rwandans” or “Iraqis” but that doesn’t mean they’ll ever get along, or let borders keep them from members of their historical tribes, now “foreign”. There’s only so much technology can surmount and that remains true when fighting wars, looking to expand or invade. One of the saddest cases of technology is of course Tibet and the railroad. In 1998, Paul Theroux remarked in Riding the Iron Rooster, “The Kunlun Range is a guarantee that the railway will never get to Lhasa.” Not even twenty years later, the railway was opened and trains come from Beijing and Shanghai four times each day. That, moreso than anything else, will likely mark the end of any chances of a free Tibet. I found the Russia/USSR/Baltic states chapter fascinating, not only because it very clearly explained why the Ukrainian situation happened, but also because it lays some context to the current state of the world with Trump and Putin working so closely together. I’m old enough to remember the breakup of the USSR being current events and not history, but I loved how he presented this with 20 years of hindsight and development, or lack thereof. As he noted throughout the Europe chapter, people born in post WW2 Western Europe have known mostly peace although there was war in the 1990s and 2000s in Eastern Europe. The interconnected nature of the world makes the question resonant: for how much longer? as there seem to be many simmering feuds ready to ignite. US involvement with NATO under Trump will dictate a lot of that, I believe. First, only some of the Sunni Iraqi tribes will support the jihadist aims, and even then only to achieve their own ends-which do not include a return to the sixth century. Iraq (or Afghanistan) under US military guidance, may not have been the way of the stable future-but nor is ISIS/ISIL/DAESH, although I do believe they’ll change the lies/lines of the Middle East before they’re done. What this book made me realize is how often the current crisis / news item fades when the next one comes up. I remember when Jammu and Kashmir was frequently in the news as a simmering issue, and his recent death reminded me of the crisis in Panama under Manuel Noriega. And of course the breakup of the former Yugoslavia which dominated the 90s. Just as they were gone to those not living there, soon will follow the current ones to be followed by new ones. Sometimes I wonder if true peace isn’t a geographical impossibility too. Wonder what our future selves will have to say to us?